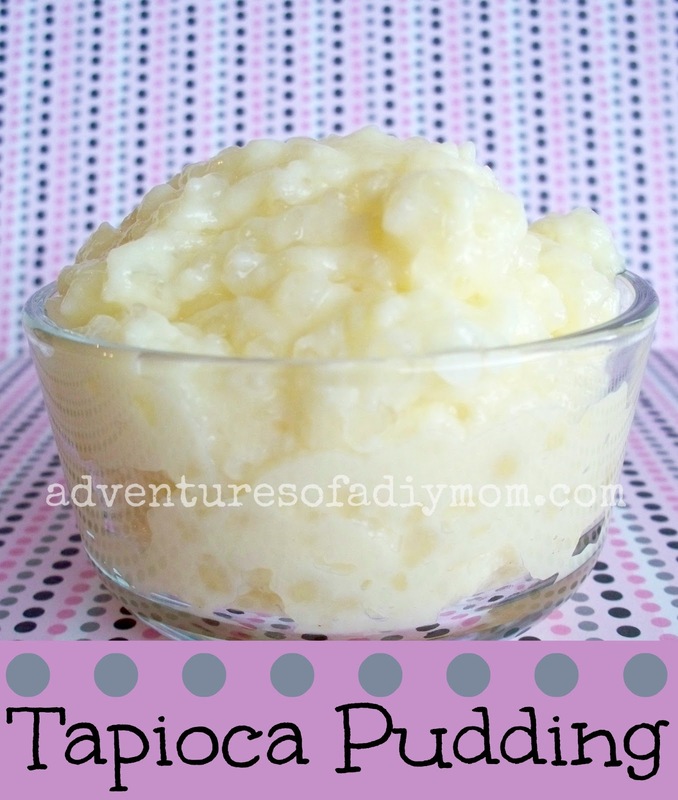 This weeks recipe is the most amazing tapioca pudding. It is rich, creamy and absolutely delicious. You start out by placing 1/2 c. small pearl tapioca in 2 c. water. You can find small pearl tapioca in the pudding isle, next to the instant tapioca. Let it sit overnight and this is what it will look like. Beat together 2 eggs in a small bowl. Set aside. Combine tapioca, milk and salt in a pot. Stir until boiling. Gradually add sugar and simmer 5 minutes. Now it's time to temper the eggs. Gradually add about 2 cups of the boiling mixture into the eggs while whisking. This process helps prevent the eggs from cooking instantly and making your pudding stringy. Now gradually pour that mixture back into the pot while whisking. Now bring it back to a boil and simmer until thick. Cool 15 minutes then add vanilla. I cannot tell you how good this is. If you like tapioca pudding you HAVE to try it. You won't be sorry. Soak tapioca overnight. Combine tapioca, milk and salt in a pot. Stir until boiling. Simmer 5 minutes on low heat, adding sugar gradually. Beat eggs in a separate bowl. Mix in some of the tapioca mixture into the eggs. Then add to pan and bring to a boil, stirring constantly. Simmer until thick. Cool 15 minutes. Add vanilla. I'm a total tapioca fan. Thanks for sharing your recipe. I love Tapioca, and will give this a try. Thanks for sharing! Thanks...I'm saving this one for my man. He loves tapioca. I love tapioca, and have always wanted to try making it. this looks so yummy! definitely something i'd try! thanks for linking up to tip-toe thru tuesday! hope to see you again this week! also, i'm a new follower! Mmm, that looks good! I do like tapioca. Can you just make it for me? :) I'm so glad you shared at Shine On Fridays! !